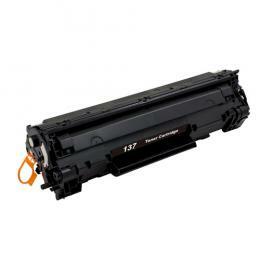 Canon 137 (9435B001AA) Toner - MF211 MF212 MF216 MF226 Toner Cartridge - Remanufactured. Canon i-SENSYS LBP-151dw, MF211, MF212w, MF216n, MF217w, MF226dn, MF229dw, MF231, MF232w, MF237, MF244dw, MF247dw, MF249dw, Canon imageCLASS D570, LBP-151dw, MF211, MF212w, MF216n, MF217w, MF221, MF226dn, MF227dw, MF229dw, MF232w, MF236n, MF244dw, MF247dw, MF249dw, Canon Satera MF216n, MF222dw, MF224dw, MF226dn, MF229dw Machines. 2,400 Yield, Black Toner Cartridge. This advanced Canon 137 toner formula makes for reliable, cost-effective and sharp, professional results. Enjoy low maintenance, trouble-free printing with this compatible Canon 137 toner cartridge. 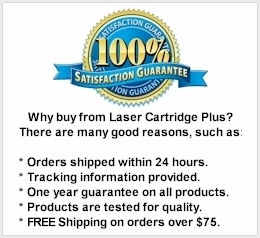 This is a Laser Cartridge Plus brand (LCP recycled) cartridge, not a Canon brand name cartridge. Any use of a brand name or model is made solely for purposes of demonstrating compatibility.